The government initiative is a response to the urgent problem of air pollution, which is both an economic and health crisis. India’s coal and mines minister, Piyush Goyal, just revealed some exciting new plans: by the year 2030, every car sold in India will be electric. The aim of this move is to lower the costs of running electric vehicles and importing fuel, and to improve population health. “The cost of electric vehicles will start to pay for itself for consumers,” he said according to the International Business Times. “We would love to see the electric vehicle industry run on its own,” he remarked. In India, air pollution has become a public health crisis as well as an economic one. This is only poised to get worse without immediate, meaningful intervention. While India is somewhat ahead of the curve on this issue — feeling the pressure first due to high-density areas — it isn’t the only country in this position. China is making new strides in sustainable energy for similar reasons. Earlier this year, Greenpeace released a report that attributed as many as 2.3 million deaths annually to air pollution in India. The report— entitled “Airpocalypse” — calls air pollution a “public health and economic crisis” for Indians, pointing out that the number of air pollution deaths in the nation are only “a fraction less” than the number of tobacco deaths. Furthermore, a full 3 percent of India’s gross domestic product (GDP) is devoured by toxic smog in the form of healthcare and other remediation costs. 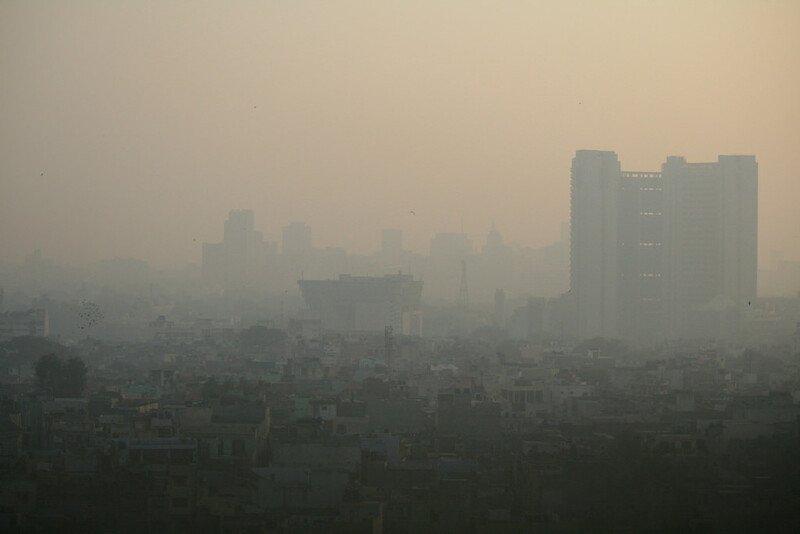 Finally, the report indicates that without immediate action and a “robust monitoring system,” the problem will worsen: “India’s pollution trends have been steadily increasing, with India overtaking China in number of deaths due to outdoor air pollution in 2015.” For example, Delhi — India’s most polluted city — was found to have particulate matter concentrations 13 times the yearly limit set by the World Health Organization (WHO). Apparently, the Indian government knows that now is the time to act, and will target dense urban centers first. Mr. Goyal indicated that the electric car plan would focus on “larger consumer centers, where pollution is at an all-time high,” first.